The Marlboro Township Police Department maintains its own Detective Division. It is currently supervised by Detective Captain Brian Hall and encompasses case Detectives, the Juvenile Bureau and Police Internal Affairs. The Detective Division has a staffing of , one (1) Detective Lieutenant, one (1) Detective Sergeant , one (1) Detective Sergeant for Cases, (oversees juvenile matters and is in charge of the School Resource Officer Program), and three (5) Case Detectives. Case Detectives are usually chosen from the senior members of the patrol division that show the necessary skills and interest in making a lateral movement into the detective division. The Marlboro Township Detective Division is responsible for conducting most investigations based on criminal activity occurring within the jurisdiction of Marlboro Township. The Detective Division coordinates with other local, county, state and federal law enforcement agencies to solve crimes and improve the quality of life for the citizens, business owners and visitors to Marlboro Township. 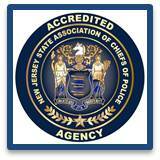 Other areas of responsibilities include crime scene processing, evidence collection, evidence storage, matters involving juvenile offenders and crimes against juveniles, background investigations and the inspection and licensing of liquor and gold buying establishments. Any questions contact Lt. Joseph Tomazic.